The Denver Public School District is failing leaders of new charter and innovation schools. The impact of these failures crushes school leaders and damages students, as Sarah’s ongoing research has clearly found. DPS must do more to support the leaders of new schools. Charter and innovation schools play an essential role in DPS by allowing for the creation of new schools that support different types of student learning, including those designed specifically for students who historically have struggled in traditional schools. They create opportunities for new, innovative approaches and community-driven change. 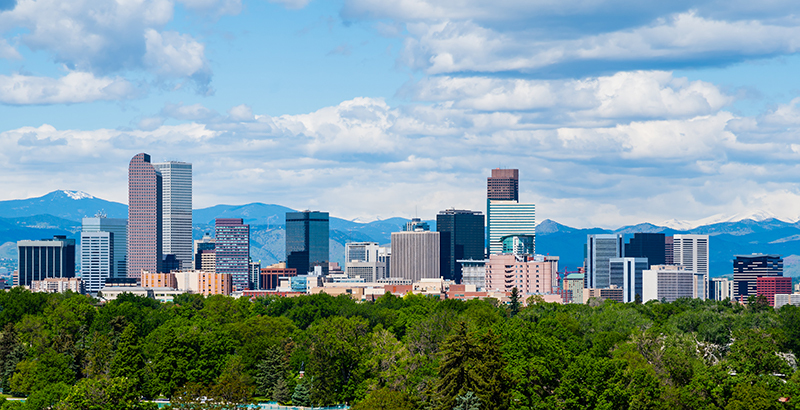 They are what compose the array of school choices available to families in Denver. Strong leadership in these schools, like all schools, is critical because, as multiple studies have shown, after classroom teachers, school leadership has the greatest positive impact on student learning. Yet DPS is failing the leaders of new charter and innovation high schools in three distinct yet connected ways. First, DPS is perpetuating the myth that a school board approving a new charter or innovation plan is the same as the district wanting that school to succeed. School leaders believe that getting their charter or innovation plans approved is the first step in the district supporting their vision and plans — but it’s not that simple. There are politics behind the hows and whys of a charter school’s approval. Some background: According to state law, if a district wants to maintain its ability to review charters, it is required to accept well-researched proposals that show sufficient demand for that particular type of school. If it does not, it risks lengthy appeal processes with state Board of Education involvement. This can force districts, including DPS, to approve well-written proposals, even if the district has no interest in providing subsequent support. This was seen most recently by the closing of Roots Elementary due in large part to insufficient enrollment, exacerbated by the district’s refusal to shut low-performing schools or to consolidate schools with enrollment problems. Second, DPS forces all schools to use the same assessment metrics: the School Performance Framework. DPS approves charter and innovation schools that often offer a different approach to learning than is found in traditional schools, approaches that create opportunities for success for students who might otherwise have struggled — and then holds these new schools to identical standards as the schools that caused students to struggle in the first place. Another challenge for new high schools is that the framework is a moving target. As highlighted in a recent Chalkbeat article, school ratings are constantly shifting as the district continues to revamp, and revamp again, algorithms and cut points. A school might be green one year and orange the next, leaving families and policymakers to wonder if the school was really good that first year or truly in need of change in the second. The arbitrariness of the algorithm has even larger implications for new schools, as these schools are ranked solely on one year of data rather than having the benefit of averaging three years. As the Denver school board narrows in on Susana Cordova as the next superintendent, we hope that, if she is chosen, she will support the leaders of new charter and innovation high schools in three ways. First, that she will close schools that continually produce poor results for students, helping new schools by increasing access to good facilities as well as potential for higher enrollment and the attendant financial stability. Second, that she will embrace alternative measures on the performance framework, allowing new schools’ leaders to demonstrate that their new schools are fulfilling the stated mission and vision. And third, that she will streamline reporting measures for these new schools to enable school leaders to focus on instruction rather than piles of paperwork. In implementing these changes, DPS would make meaningful and lasting strides to support the leaders of new charter and innovation high schools. Sarah Bridich is an education consultant studying leadership at new charter and innovation high schools through the University of Colorado, Denver. Tony Lewis has led the Donnell-Kay Foundation since 2000, with a focus on improving education in Colorado. Sarah Bridich, Ph.D., is an education consultant studying leadership at new charter and innovation high schools through the University of Colorado, Denver. Tony Lewis has led the Donnell-Kay Foundation since 2000, with a focus on improving education in Colorado.